Begin your week with this shortlist of interesting readings and a slideshow. Time zones are fluid. (The Smart Set). Hat Tip: PCR. Slideshow: Photos of the Week (March 2-9) from TIME. 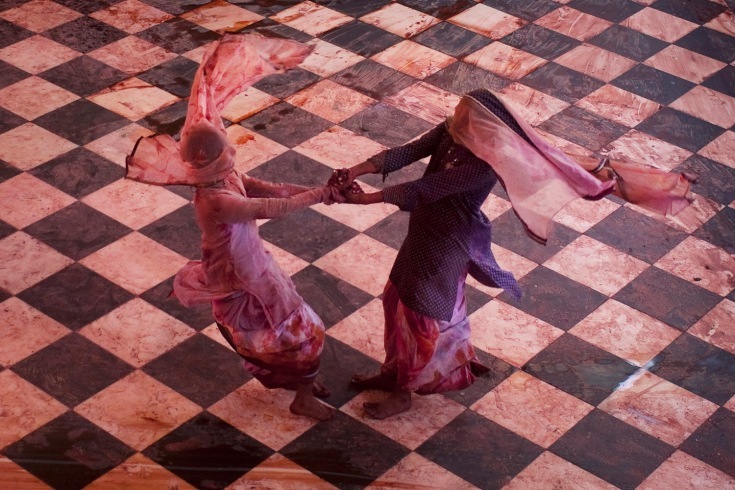 The photograph below shows Indian Hindu transvestites dance together in the Radha Rani Temple during Lathmar Holi in Barsana, India.